We are a wedding entertainment one-stop shop! We offer DJ, lighting, MC and photo booth services. We get to know you and we will customize your event to be as unique as you are. Don't hire a band or do it yourself, let Sound Obsession take care of your music at an affordable price. 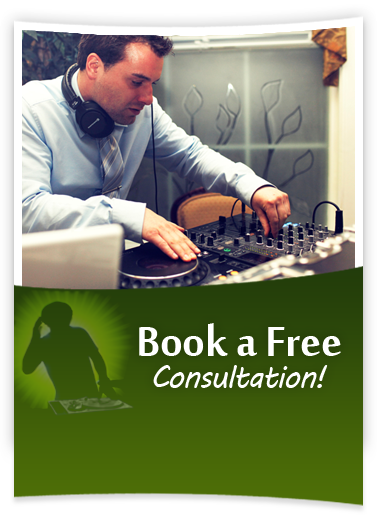 Book a free consultation today & let us create a customized package that works for you and your budget. With our huge music catalogue and variety of services, we guarantee to entertain all ages. We can take charge or follow your lead - we are versatile to your needs. After all, it is YOUR day!